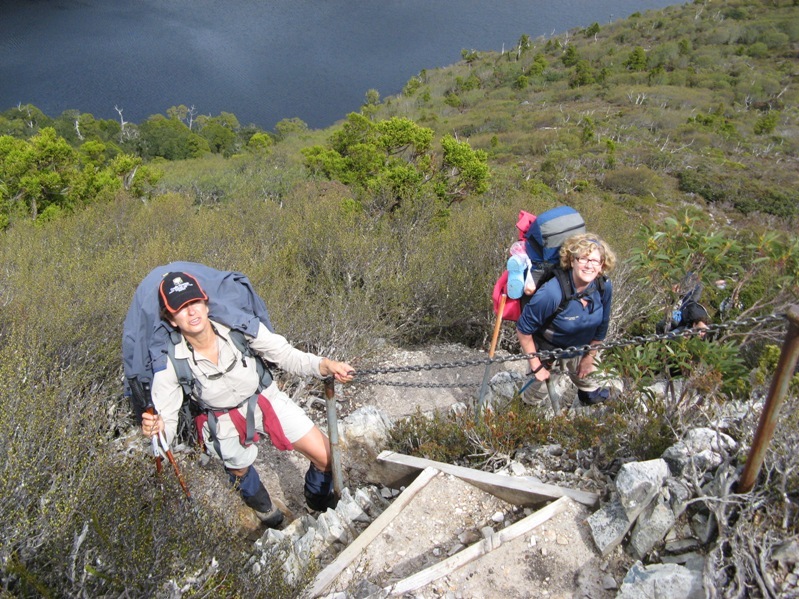 One of the reasons we manage Our Hiking Blog is the community of terrific people that are part of this site. 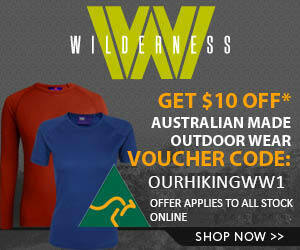 We are in contact with many people from across the world who all have a shared love and passion of the outdoors. It is great fun to meet new people and read their stories or help them out with information. A few months ago we were contacted by Pete who was planning to move back to Australia from the USA. He had lived in the US (California, NY, Oregon) since 1997 and had picked up a new job in Hobart. He was asking for recommendations about the best hiking books that contained walks suitable with young childern. 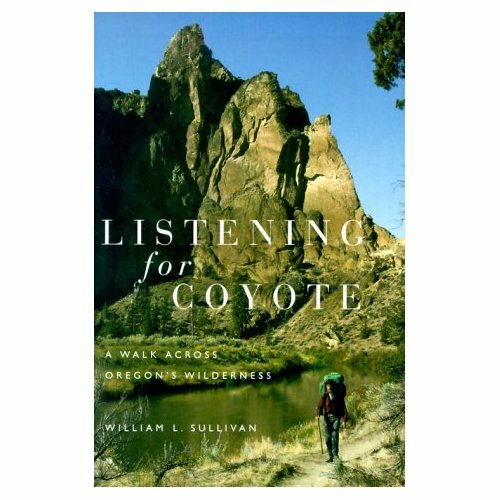 We kept up some correpondance and Pete recommended a book by William L Sullivan – Listening for Coyote – A walk across Oregon’s Wilderness. A couple of weeks ago it arrived in the mail from Pete. Well, hats off to Pete, it is a terrific read. Sullivan describes his sixty five day (2190 km – 1,361 mile) journey across Oregon from Cape Blanco to Hat Point , Hells Canyon on what he calls the New Oregon Trail. While it is an epic solo adventure, and a huge achievement, what really appealed about the book is that Sullivan is a thinker and story teller. As much as reading about the practicalities of the journey was interesting, it was often his reflections and interactions with other people and animals that brought this book above the level of the ordinary. Highly recommend for anyone who likes to get immersed in a great adventure read to try and beg, borrow or steal it. Don’t worry Pete, I will mail it back this week! Do you have any other books to recommend? Have you read Listening for Coyote – A walk across Oregon’s Wilderness? We would love to read your ideas and feedback, drop us a note below. Thanks for this post. I just used the link in your post and ordered the book from Amazon, along with a few other books. On my calculations Sullivan averaged over 33 kms per day on his walk. That’s a fair pace to sustain over 65 days. Indigenous people often have a connection with their environment that many people cannot fathom. From what you say, it appears that Sullivan may offer some insights into this type of connection. I look forward to reading it and I’ll let you know what I think of it. Thanks very much for a great reply. Shame I did not put in an aff link to Amazon!! (ran out of time) I really hope you enjoy the book. It is not for someone who like “light and fluffy”! p.s. yep, think the plan was around 20 + miles a day. Huge effort. The name of the book has great appeal especially since I just had an email from a friend warning me to watch out for coyotes when I cycle the Cabot Trail(in Nova Scotia)as they are becoming quite fearless and attacking people. But back to your book review – I will put it on my Christmas wish list & distribute the name of the book to family members. It sounds like a terrific read. One book I highly recommend is ‘Being Caribou-Five Months on Foot with an Arctic Herd’ by Kartsen Heuer. It gets into the controversy regarding oil drilling in the Arctic National Wildlife Refuge. Congratulations on publishing your ebook. I will look at it when I get home & thank you for the complimentary copy.